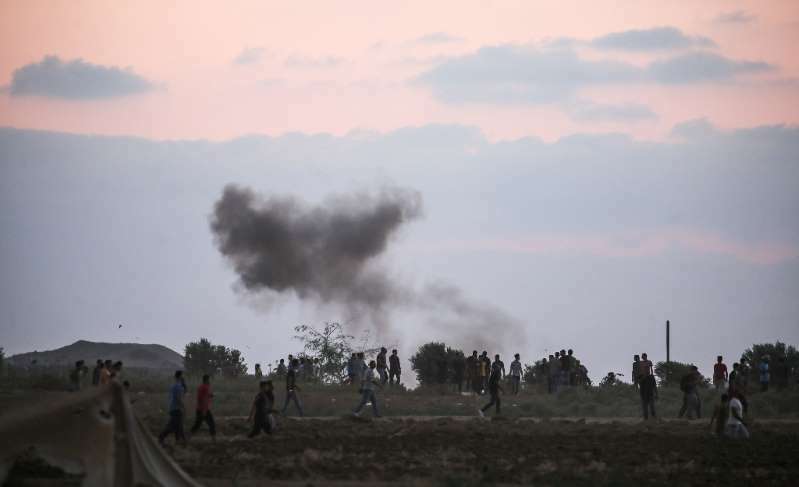 Israeli forces shot dead a Palestinian in fresh clashes on the Gaza border Sunday, the health ministry in the Hamas-run enclave said. Imad Ishtawi, 21, was shot in the head, the ministry said, as Palestinians again gathered along the border east of Gaza City late Sunday in the latest in months of often violent demonstrations. The strip's Islamist rulers Hamas had been rumoured to be seeking a lasting truce with Israel but the indirect talks have seemingly stalled, with protests subsequently increasing in number. In recent weeks the demonstrations, which typically involve burning tires and throwing stones, have also taken place at night, though with far smaller numbers than the regular Friday daytime gatherings. At least 186 Palestinians have been killed by Israeli fire since the protests began on March 30.